Allegation #1: It is alleged that during the 2011-12 through 2015-16 academic years, the men’s basketball coaching staff impermissibly directed, observed and engaged men’s basketball student-athletes in athletically related activities outside the institution’s declared playing seasons. in the Pointers’ 61-60 win over UW-Stout in Menomonie, Wis. on Wednesday. Semling’s 200th win matched Jack Bennett’s (1997-2005) program record for wins. 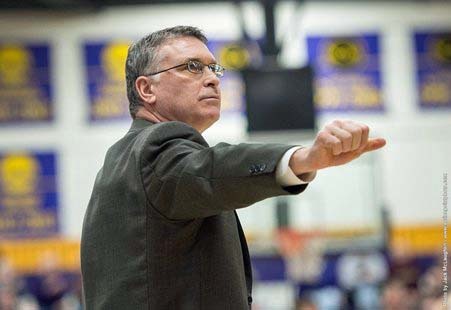 Semling is in his 9th season at UW-Stevens Point and now owns a 200-47 record. He’s the 16th men’s basketball coach in Wisconsin Intercollegiate Athletic Conference (WIAC) history to reach the milestone. The #1 ranked Pointers play at Superior on Saturday, looking to give Semling his record 201st victory and a 14-game win streak to start the season.